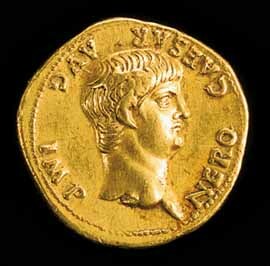 It may be because so many ancient writers made a point of commenting on the excesses of the emperor Nero, but his reign does seem to have been a period of exceptional extravagance. Certainly some Romans had plenty of money to spend on all manner of luxuries. Silks from China, perfumes from Arabia, hardwoods from North Africa, marble from Greece: the list is endless. For whatever reason, rock crystal now became the most fashionable of hardstones among Rome's wealthy. Its surface could be sculpted in low relief, or it could be delicately faceted. The glassmaking industry followed this swing in the pendulum of Roman taste at once, producing both mold-cast dishes and a whole range of free-blown vessels in colorless glass.